Don't delay, get on our concrete schedule today! *The best way to obtain a bid for your concrete project would be to fill out the bid request below or send us an email with your *name, address, phone number, description of your concrete project with dimensions or square footage. If you are looking for concrete employment opportunities, advice for caring for your concrete project or our ﻿concrete workmanship & materials guarantee﻿. If you would like more information on our concrete contracting services please contact us via email, call/text or visit. Spencer Concrete | Driveways, Decorative Colored Stamped Patios, Foundation Slabs, & Basement Floors. Appleton Concrete Contractor | Concrete Company in Appleton, WI. Green Bay Concrete Contractor | Concrete Company in Green Bay, WI. Oshkosh Concrete Contractor | Concrete Company in Oshkosh, WI. Oneida Concrete Contractor | Concrete Company in Oneida , WI. New London Concrete Contractor | Concrete Company in New London, WI. Neenah Concrete Contractor | Concrete Company in Neenah, WI. Greenville Concrete Contractor | Concrete Company in Greenville, WI. De Pere Concrete Contractor | Concrete Company in De Pere, WI. Menasha Concrete Contractor | Concrete Company in Menasha, WI. Stevens Point Concrete Contractor | Concrete Company in Stevens Point, WI. Kaukauna Concrete Contractor | Concrete Company in Kaukana, WI. Little Chute Concrete Contractor | Concrete Company in Little Chute, WI. Shawano Concrete Contractor | Concrete Company in Shawano. Suamico Concrete Contractor | Concrete Company in Suamico, WI. Plover Concrete Contractor | Concrete Company in Plover, WI. Clintonville Concrete Contractor | Concrete Company in Clintonville, WI. Waupaca Concrete Contractor | Concrete Company in Waupaca, WI. Freedom Concrete Contractor | Concrete Company in Freedom, WI. Kimberly Concrete Contractor | Concrete Company in Appleton, WI. Hortonville Concrete Contractor | Concrete Company in Hortonville, WI. Dale Concrete Contractor | Concrete Company in Dale, WI. Ripon Concrete Contractor | Concrete Company in Ripon, WI. Seymour Concrete Contractor | Concrete Company in Seymour, WI. Berlin Concrete Contractor | Concrete Company in Berlin, WI. Larsen Concrete Contractor | Concrete Company in Larsen, WI. Combined Locks Concrete Contractor | Concrete Company in Combined Locks, WI. Omro Concrete Contractor | Concrete Company in Omro, WI. Weyauwega Concrete Contractor | Concrete Company in Weyauwega, WI. Pulaski Concrete Contractor | Concrete Company in Pulaski, WI. Winneconne Concrete Contractor | Concrete Company in Winneconne, WI. Wrightstown Concrete Contractor | Concrete Company in Wrightstown, WI. Shiocton Concrete Contractor | Concrete Company in Shiocton, WI. Little Suamico Concrete Contractor | Concrete Company in Little Suamico, WI. Royalton Concrete Contractor | Concrete Company in Royalton, WI. Black Creek Concrete Contractor | Concrete Company in Black Creek, WI. Chilton Concrete Contractor | Concrete Company in Chilton, WI. Manawa Concrete Contractor | Concrete Company in Manawa, WI. New Franken Concrete Contractor | Concrete Company in New Franken, WI. 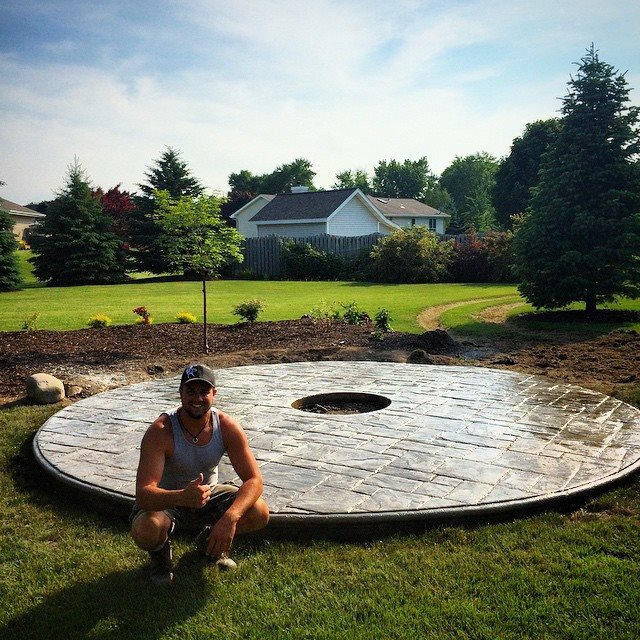 Sherwood Concrete Contractor | Concrete Company in Sherwood, WI. Brillion Concrete Contractor | Concrete Company in Brillion, WI. King Concrete Contractor | Concrete Company in King, WI. Kiel Concrete Contractor | Concrete Company in Kiel, WI. New Holstein Concrete Contractor | Concrete Company in New Holstein, WI. Oconto Falls Concrete Contractor | Concrete Company in Oconto Falls, WI. Marion Concrete Contractor | Concrete Company in Marion, WI. Custer Concrete Contractor | Concrete Company in Custer, WI. Redgranite Concrete Contractor | Concrete Company in Redgranite, WI. Wautoma Concrete Contractor | Concrete Company in Wautoma, WI. Denmark Concrete Contractor | Concrete Company in Denmark, WI. Bonduel Concrete Contractor | Concrete Company in Bonduel, WI. Iola Concrete Contractor | Concrete Company in Iola, WI. Bear Creek Concrete Contractor | Concrete Company in Bear Creek, WI. Malone Concrete Contractor | Concrete Company in Malone, WI. Butte Des Morts Concrete Contractor | Concrete Company in Butte Des Morts, WI. Abrams Concrete Contractor | Concrete Company in Abrams, WI. Eldorado Concrete Contractor | Concrete Company in Eldorado, WI. Ringle Concrete Contractor | Concrete Company in Ringle, WI. Fremont Concrete Contractor | Concrete Company in Fremont, WI. Keshena Concrete Contractor | Concrete Company in Keshena, WI. Eureka Concrete Contractor | Concrete Company in Eureka, WI. Poy Sippi Concrete Contractor | Concrete Company in Poy Sippi, WI. Gillett Concrete Contractor | Concrete Company in Gillett, WI. Amherst Concrete Contractor | Concrete Company in Amherst, WI. Wittenberg Concrete Contractor | Concrete Company in Wittenberg, WI. Hilbert Concrete Contractor | Concrete Company in Hilbert, WI. Green Valley Concrete Contractor | Concrete Company in Green Valley, WI. Rosendale Concrete Contractor | Concrete Company in Rosendale, WI. Galloway Concrete Contractor | Concrete Company in Galloway, WI. Markesan Concrete Contractor | Concrete Company in Markesan, WI. Tigerton Concrete Contractor | Concrete Company in Tigerton, WI. Reedsville Concrete Contractor | Concrete Company in Reedsville, WI. Pickett Concrete Contractor | Concrete Company in Pickett, WI. Saxeville Concrete Contractor | Concrete Company in Saxeville, WI. Princeton Concrete Contractor | Concrete Company in Princeton, WI. Embarrass Concrete Contractor | Concrete Company in Embarrass, WI. Wild Rose Concrete Contractor | Concrete Company in Wild Rose, WI. Plainfield Concrete Contractor | Concrete Company in Plainfield, WI. Green Lake Concrete Contractor | Concrete Company in Green Lake, WI. Birnamwood Concrete Contractor | Concrete Company in Birnamwood, WI. Brandon Concrete Contractor | Concrete Company in Brandon, WI. Cecil Concrete Contractor | Concrete Company in Cecil, WI. Gresham Concrete Contractor | Concrete Company in Gresham, WI. Greenleaf Concrete Contractor | Concrete Company in Greenleaf, WI. Valders Concrete Contractor | Concrete Company in Valders, WI. Neopit Concrete Contractor | Concrete Company in Neopit, WI. Forest Junction Concrete Contractor | Concrete Company in Forest Junction, WI. Stockbridge Concrete Contractor | Concrete Company in Stockbridge, WI. Whitelaw Concrete Contractor | Concrete Company in Whitelaw, WI. Mount Calvary Concrete Contractor | Concrete Company in Mount Calvary, WI. Hatley Concrete Contractor | Concrete Company in Hatley, WI. Nichols Concrete Contractor | Concrete Company in Nichols, WI. Scandinavia Concrete Contractor | Concrete Company in Scandinavia, WI. Rosholt Concrete Contractor | Concrete Company in Rosholt, WI. Bancroft Concrete Contractor | Concrete Company in Bancroft, WI. Leopolis Concrete Contractor | Concrete Company in Leopolis, WI. Suring Concrete Contractor | Concrete Company in Suring, WI. Almond Concrete Contractor | Concrete Company in Almond, WI. Caroline Concrete Contractor | Concrete Company in Caroline, WI. Ogdensburg Concrete Contractor | Concrete Company in Ogdensburg, WI. Krakow Concrete Contractor | Concrete Company in Krakow, WI. Neshkoro Concrete Contractor | Concrete Company in Neshkoro, WI. Mattoon Concrete Contractor | Concrete Company in Mattoon, WI. Coloma Concrete Contractor | Concrete Company in Coloma, WI. Bowler Concrete Contractor | Concrete Company in Bowler, WI. Hancock Concrete Contractor | Concrete Company in Hancock, WI. Waukau Concrete Contractor | Concrete Company in Waukau, WI. Fairwater Concrete Contractor | Concrete Company in Fairwater, WI. Van Dyne Concrete Contractor | Concrete Company in Van Dyne, WI. Maribel Concrete Contractor | Concrete Company in Maribel, WI. Sobieski Concrete Contractor | Concrete Company in Sobieski, WI. Potter Concrete Contractor | Concrete Company in Potter, WI. Aniwa Concrete Contractor | Concrete Company in Aniwa, WI. Eland Concrete Contractor | Concrete Company in Eland, WI. Nelsonville Concrete Contractor | Concrete Company in Nelsonville, WI. Elderon Concrete Contractor | Concrete Company in Elderon, WI. Collins Concrete Contractor | Concrete Company in Collins, WI. Tilleda Concrete Contractor | Concrete Company in Tilleda, WI. Big Falls Concrete Contractor | Concrete Company in Big Falls, WI. We also provide snow removal services for most of WI's Fox River Valley. Appleton Snow Removal Service| Snow Plowing Contractor Company in Appleton, WI. ﻿Neenah Snow Removal Service| Snow Plowing Contractor Company in Neenah, WI. ﻿Little Chute Snow Removal Service | Snow Plowing Contractor Company in Little Chute, WI. ﻿Kimberly Snow Removal Service| Snow Plowing Contractor Company in Kimberly, WI. ﻿Darboy Snow Removal Service | Snow Plowing Contractor Company in Darboy, WI. ﻿Bear Creek Snow Removal Service | Snow Plowing Contractor Company in Bear Creek, WI.